What auto insurance coverage am I required to have and what are the minimum limits I can purchase in order to satisfy Arizonas financial responsibility requirements? Does Property Damage coverage provide coverage to fix my vehicle in the event that the at-fault driver does not have insurance? If I borrow a car from a friend or relative while my vehicle is undergoing repair, will my policy cover me while I am driving the borrowed car? In Arizona, drivers are required to have Bodily Injury and Property Damage coverage. The minimum required limits are $15,000 per driver on the policy and $30,000 per accident for Bodily Injury and $10,000 per accident for Property Damage. Bodily Injury coverage pays for injuries to others caused by the accident. If you were at-fault in the crash, you become legally responsible for injuries incurred by other parties involved. Bodily Injury coverage does not pay for any bodily injury you may sustain. In order for your own injuries to be covered, you must have Medical Payments coverage included in under your auto policy. No, Property Damage coverage will only protect you for damage caused to the vehicles or property of others when you are at-fault in a collision. In order to have your own repairs fixed, you need to have Collision coverage on your auto policy. Under Comprehensive coverage, theft of all or part of the vehicle, glass breakage and damage due to weather events, falling objects, vandalism, explosion or hitting an animal may all be covered. Collision coverage will pay for damages if your vehicle collides with an object, including another car, or if it rolls over. Your insurer will pay to repair these damages even if you are found to be at-fault in the crash. Uninsured Motorist coverage will protect you and any passengers in your car for bodily injury you or the passengers sustain in an accident involving a driver who does not have liability coverage. This type of coverage also applies if youve been injured in a hit-and-run accident. Underinsured Motorist coverage will protect you or passengers in your car for bodily injury in an accident caused by a driver who does not have enough insurance to cover the cost of the injuries of you or your passengers. 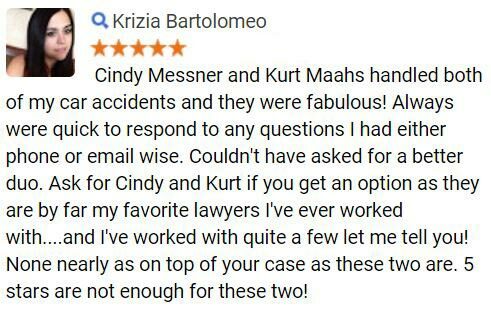 If you or a loved one has been injured or sustained property damage in a Phoenix auto accident, it is crucial that you consult with an attorney as soon as possible. 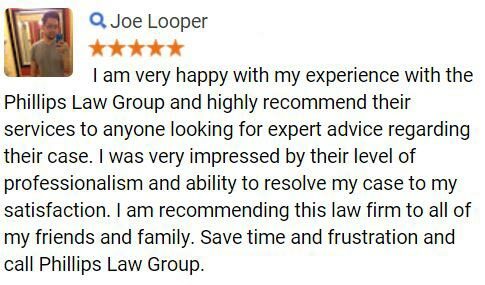 The sooner you begin the legal process, the higher the probability that you will recover fair compensation for your losses. The insurance company will often attempt to get injury victims to settle for fair less compensation than they need to fully compensate them for losses incurred from the crash, including medical bills, lost wages, pain and suffering, and other damages related to the wreck. 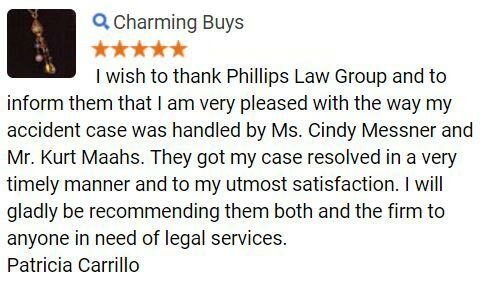 At Phillips Law Group, we are dedicated to fighting for the rights of all those who have been injured in an Arizona auto accident. 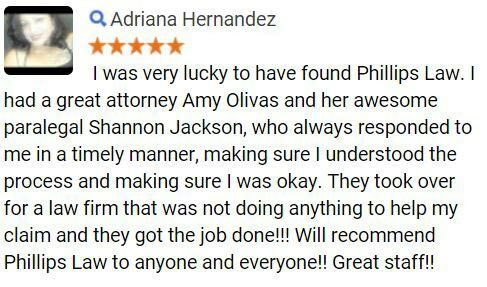 For more information on the legal rights which may be available to Phoenix auto accident victims and their families or to schedule a confidential, free case evaluation with a member of our team of legal professionals, please complete the Free Case Review form on this page.